Soda-lime glass. For the determination of oxygen dissolved in water. 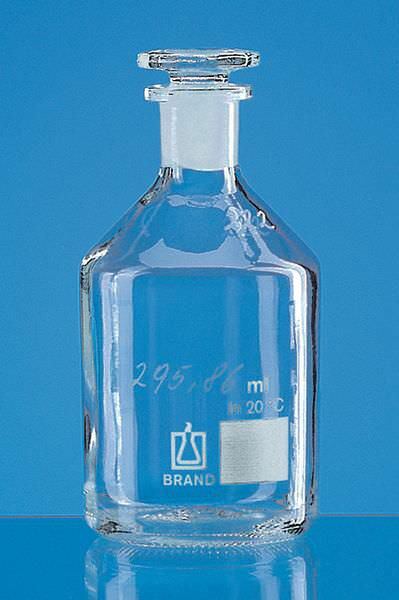 The measured capacity is specified to ± 0,01 ml. White labeling area. Solid, obliquely cut standard-ground glass stopper can be secured with a fastening clip. Each flask is calibrated with its own stopper, hence, stoppers and flasks are not interchangeable. Each flask and its stopper is marked with a unique matching identification number.